Why it matters: Black women are a powerful voting bloc for Democrats as they work to capture the House and Senate. In 2016, 94% of black women voted for Hillary Clinton over Donald Trump. Now they're running for office in overwhelming numbers, but some feel the party isn't investing in them. Right now, there are only 19 black women serving in Congress. Only 67 women of color overall have been members of Congress since 1964. 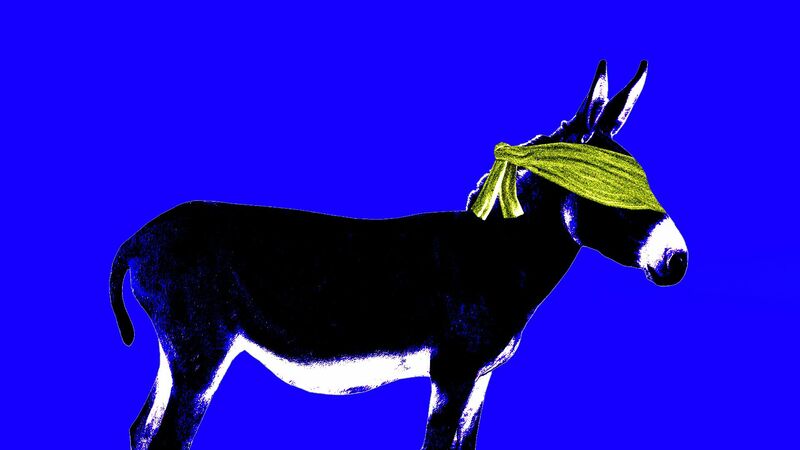 There's been a focus on the progressive vs. moderate fight within the Democratic Party, making some feel overlooked. "I think some of the other groups [like progressives] have gotten more attention than any racial group," Kimberly Hill Knott, who's running for Congress in Detroit, told Axios. "I don’t hear the national party talking about an urban agenda." One progressive candidate who is also black, Kerri Harris, running for U.S. Senate in Delaware, said she's had no recognition from the party. 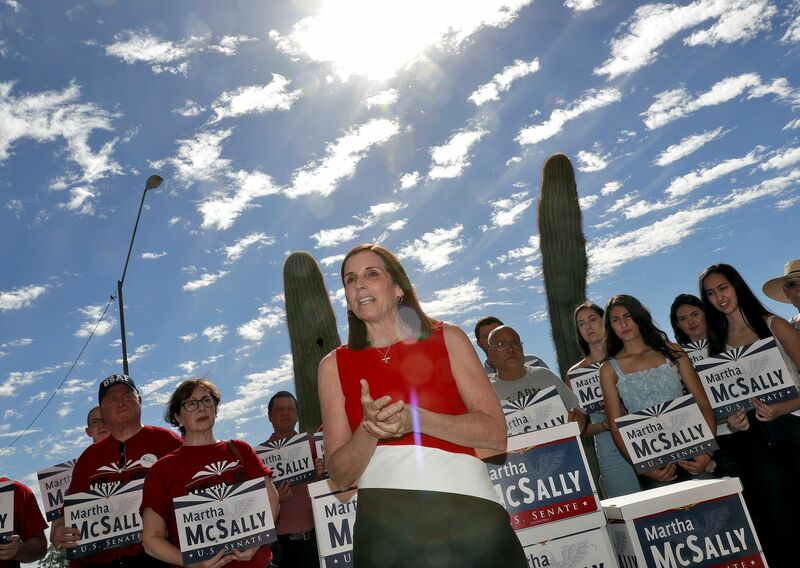 "They can keep pretending like we don’t exist or come out against us as candidates, but they’ll realize the best way to uphold our democracy is to encourage it." One big challenge: Politics is driven by money. If you're not raising a lot of it, you're viewed as unelectable. But raising money as a first-time candidate and a black woman is often half the battle, candidates told Axios. 2. New question on trail: Have you been accused of harassment? "The provocative query [by NARAL Pro-Choice Massachusetts] appears on a questionnaire circulating among state candidates that's believed to be the first instance nationally in which an interest group is demanding such disclosures as a condition of its endorsement." 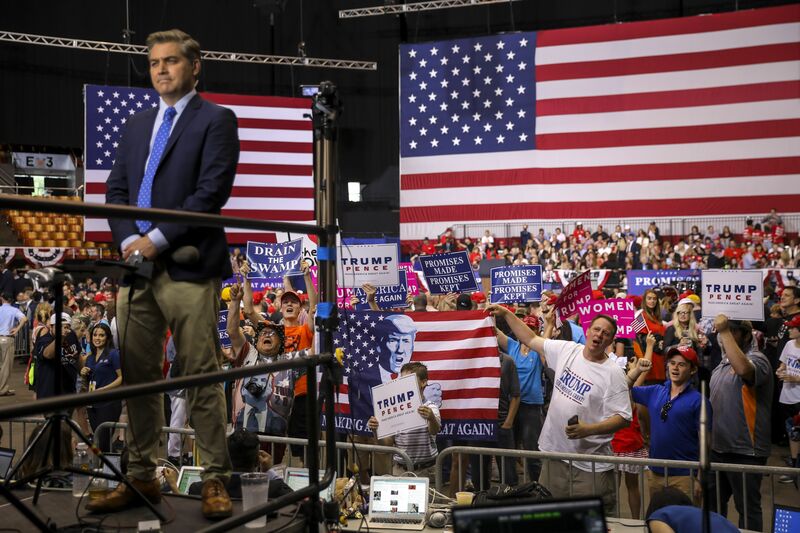 CNN chief White House correspondent Jim Acosta works in Nashville last night as Trump supporters shout toward members of the press before the start of a presidential rally. "Today, 23 women are senators." “This isn’t the end, we are just at the beginning of this culture shift with women. Why now? Because the current presidential administration has woken up a chorus of voices and unleashed a wave of activism and empowerment." Researchers say their estimated death toll — 70 times higher than the official estimate — is "likely to be an underestimate." The biggest factors leading to the higher death toll were disrupted medical services, including access to medication and medical facilities, the study found. Boston Globe TV critic Matthew Gilbert: "ABC played with fire when it brought Roseanne Barr back to TV this year. And the network got burned." 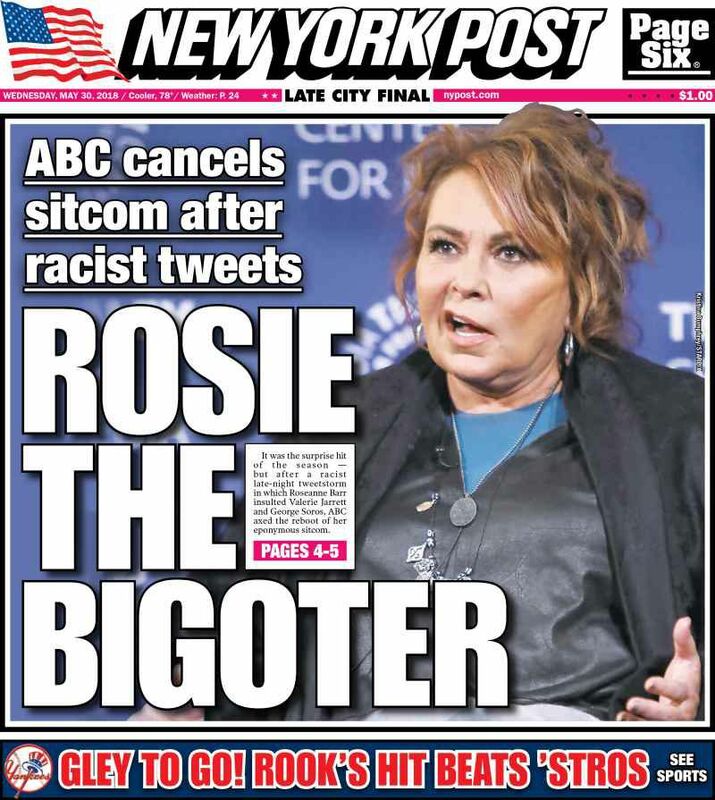 "The network canceled its hit reboot of 'Roseanne' .... after Barr’s racist tweet that referred to Valerie Jarrett." 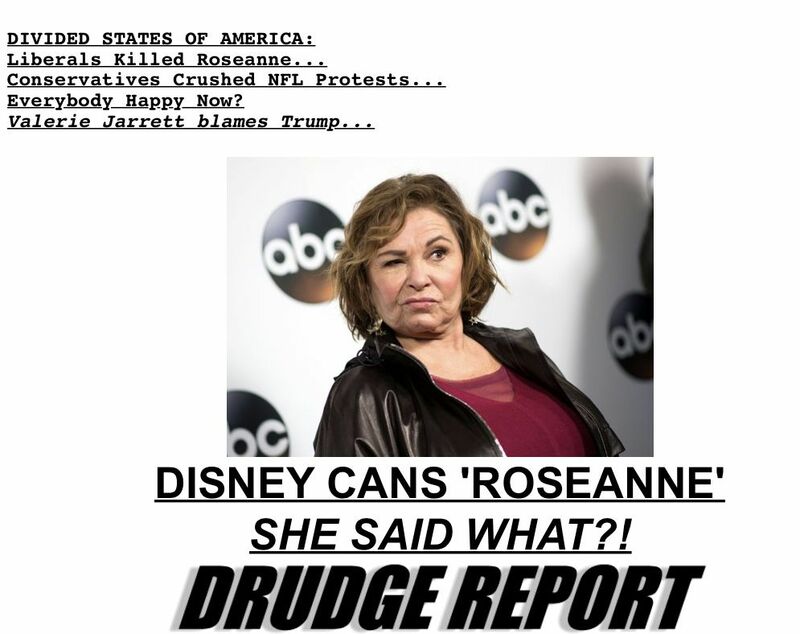 Barr's "agent dropped her, and other services pulled 'Roseanne' reruns." "The swift developments rendered President Trump at least temporarily mum." 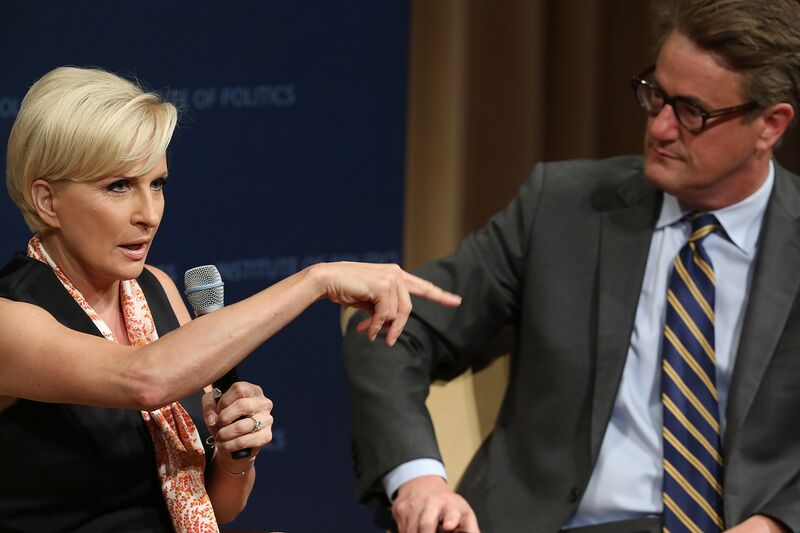 "Jarrett, ... who said she was 'fine' after the slur, urged in an MSNBC special .... about racism that the incident become a teaching moment. She said that Robert Iger, chief executive of ABC parent Walt Disney Co., called to apologize and told her before it became public that the show was being canceled." “The last few months have been incredibly difficult for me, for my family, for my team, for my friends, and many, many people that I love,” he said, saying he was the victim of “legal harassment." He added, "I have not broken any laws or committed any offense worthy of this treatment." 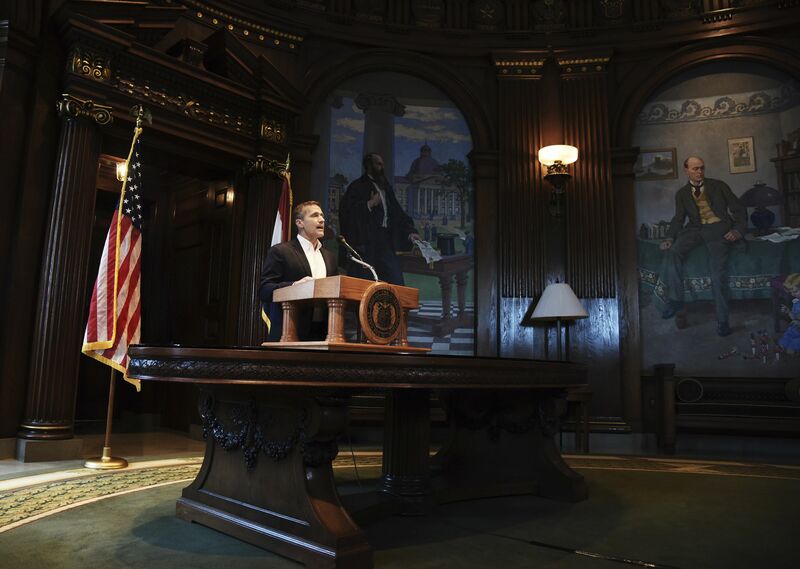 "Greitens ... rocketed onto Missouri’s political scene in 2015, promising to take on 'career politicians' and a culture of 'corruption' in Jefferson City." "A year after taking office, his own administration became engulfed in scandal when Greitens admitted to a 2015 extramarital affair but denied allegations he threatened his lover with a compromising photograph." Bill Clinton, from his memoir, “My Life”: "I believed every word I said, but my anger hadn’t worn off enough for me to be as contrite as I should have been." "Starr and his interrogators did their best to turn the videotape into a pornographic home movie, asking me questions designed to humiliate me and to so disgust the Congress and the American people that they would demand my resignation, after which he might be able to indict me." "I did acknowledge that I had misled everyone who asked about the story after it broke. And I said over and over again that I never asked anyone to lie." "I was visibly upset when I went up to the Solarium to see friends and staff who had gathered to discuss what had just happened." "Everyone knew I had to admit that I had made an awful mistake and had tried to hide it. The question was whether I should also take a shot at Starr’s investigation and say it was time to end it. The virtually unanimous opinion was that I should not." Doug Sosnik, White House counselor and later senior adviser: "I said, 'This is why God invented James Carville.'" 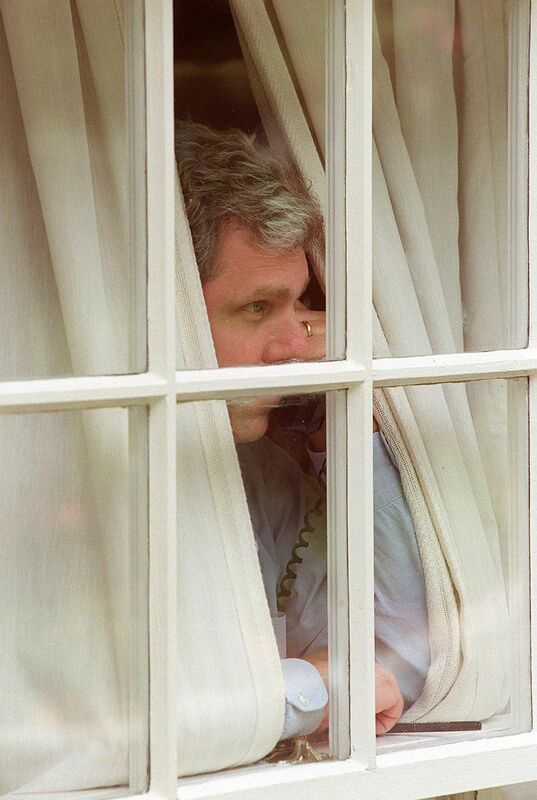 Joe Lockhart, White House deputy press secretary and later press secretary: "In 1998, I could not imagine a president pleading the Fifth [Amendment]. I don’t even remember there being a serious conversation about it." Hillary Clinton, from her memoir, “Living History.”: "When it was over, at 6:25 p.m., Bill emerged from the room composed but deeply angry. I had not been present for his testimony, and I was not ready to talk to him, but I could tell from his body language that he had been through an ordeal." Hillary Clinton: "I finally said, 'Well, Bill, this is your speech. You’re the one who got yourself into this mess, and only you can decide what to say about it.' Then Chelsea and I left the room."